← Holy Cow to become India’s ‘National Animal’! 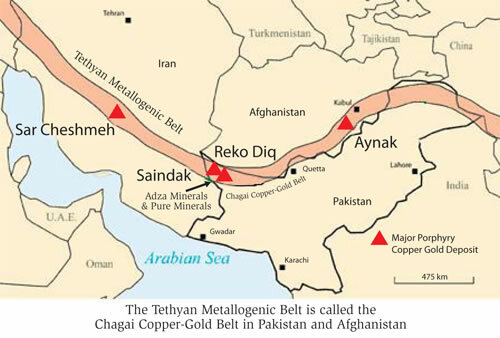 China state companies have shown interest to help Islamabad mine huge mineral resources in country’s Balochistan province bordering Islamic Republic of Iran as part of China’s Silk Roads initiative. China has pledged US$62 billion for the China-Pakistan Economic Corridor (CPEC), a flagship OBOR project that first focused on Chinese state firms building Gwadar port in Balochistan on the Arabian Sea, roads and power stations, but is now expanding to include setting up industries. Over US$1 trillion worth of natural resources have been reportedly discovered in the province including, Gold, Copper, Black pearl, Oil, Valuable Stones, Coal, and Chromite. However, terrorist groups funded by the US, Israel and India against Islamabad and Tehran in the province for decades had stopped its exploitation. Any large-scale mining has failed to take off. Foreign firms have been put off by security fears and a high-profile litigation case with Canada’s Barrick Gold and Chile’s Antofagasta over Reko Dig, one of the world’s biggest undeveloped gold and copper mines, in the province. The dream of the proposed Iran-Pakistan gas pipeline passing through Balochistan has not completed since its beginning in the 1990s due to American pressure on Islamabad and the foreign trained-supported insurgency. Last month, the Balochistan-based terrorists attacked Iranian border police killing 10 Iranian which brought warning from Tehran calling on Islamabad to tighten security along Pakistan-Iran border. Last year, Indian prime minister Narendra Modi threatened Islamabad to stir more terrorism in Balochistan in order to divert world attention from independence protests in Indian occupied state of Kashmir.